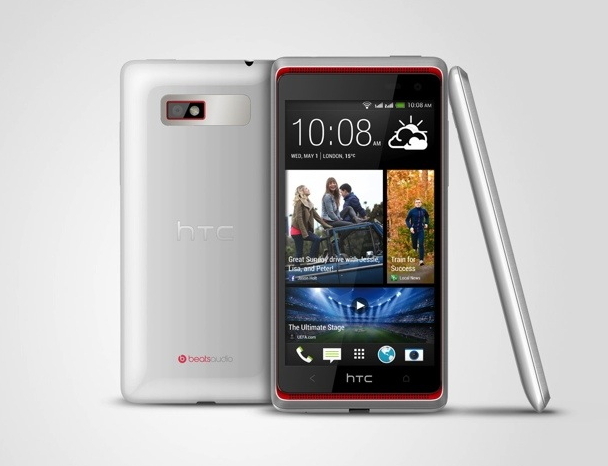 HTC launches Desire 600 dual SIM affordable mid-range smartphone with HTC’s latest Sense 5 user interface. The phone powered by 1.2 GHz quad-core processor with 1 GB RAM and the phone runs on Android operating system. The Desire 600 features 4.5-inch super LCD2 display, it comes with 8MP rear camera and 1.6 MP front facing camera. It has 8 GB of internal storage and expandable with microSD card. The new HTC Desire 600 dual sim will be available on number of markets from early June 2013. Price is not available yet, check back later for price updates.